There is something intriguing about the sight of an island in the distance. These small parcels of land surrounded by miles of open ocean on all sides are steeped in a sense of mystery, a new land to explore. No less interesting is the history of the inhabitants of these islands who have formed a deep bond with their environment over the centuries. Their cultures and histories are shaped by the rugged surroundings and their isolation from the outside world. Much like the first settlers were inspired to carve out a life on the fringes of the civilized world, these Atlantic islands continue to inspire explorers, adventurers, and anyone who is fascinated with remote and mysterious places. 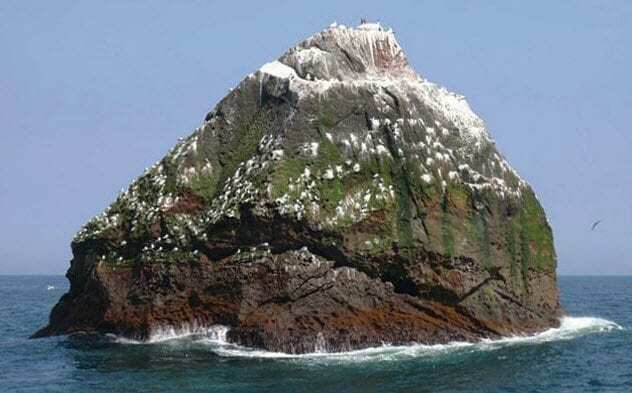 Rockall is sometimes referred to as “Rocabarraigh” in Scottish Gaelic. A Scottish myth describes Rocabarraigh as an island or rock that will appear three times, last appearing at the end of the world. In 1955 when nuclear apocalypse was a looming threat, Rockall was finally claimed by the British Admiralty on behalf of the Crown. This prevented the islet’s use as an observation post by the Soviet Union when the UK tested its first nuclear missile in the North Atlantic. Jan Mayen is a sizable island located approximately halfway between Norway and Greenland, about 595 kilometers (370 mi) north of Iceland. The island consists of two parts, a southern part and the much larger northern part, which are connected by an isthmus. 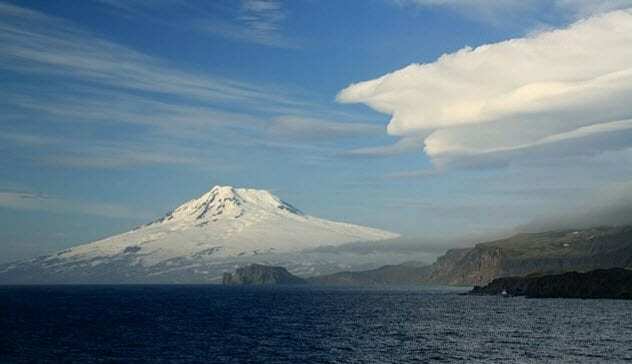 Jan Mayen is a volcanic island, and the scenery is dominated by a huge volcanic cone, the Beerenberg. In all likelihood, the island was first discovered by Norse sailors, who described an island two days’ sailing north of Iceland. They named it “Svalbaro” (“cold coast”). However, as the Viking Age ended, Norwegians and Icelanders halted nearly all open sea voyages and the island was forgotten for many centuries. Jan Mayen has a complicated history of discovery. It was verifiably rediscovered by three separate expeditions in summer 1614. It was then that the island received its final name—named for Jan, a Dutch captain of a whaling vessel who reached the island in the month of May. Subsequently, Jan Mayen became a haven for Dutch whalers who established semipermanent hunting bases there. Thousands of whales were hunted in the sea surrounding Jan Mayen, with some species nearly hunted to local extinction. In 1634, seven Dutch whalers attempted to stay on the island over the winter for the first time. All died from scurvy and diseases caused by eating raw polar bear meat. A few years later, the whales had apparently left Jan Mayen for safer waters. So the Dutch abandoned the island completely, and things were quiet on Jan Mayen again. In the 20th century, the island was incorporated into the Kingdom of Norway. Today, it can only be visited by a select few, mostly scientists or Norwegian military personnel. 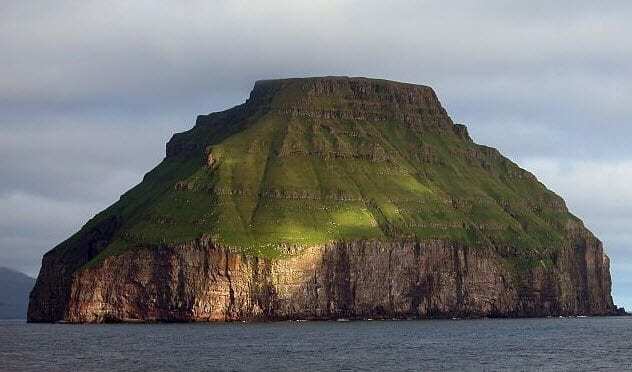 Litla Dimun is the smallest of the main 18 islands of the Faroe Islands. It has the shape of a cylindrical cone with the entire southern side composed of sheer cliffs, making landing on Litla Dimun notoriously difficult. The difficult landing is perhaps the reason why the island is thought to have never been inhabited by humans, a somewhat unique feature among Atlantic islands. However, it has been used for grazing sheep since the Neolithic period. Until the 19th century, Litla Dimun was home to feral sheep, which were descended from sheep introduced to the Faroese by the very first settlers of Northern Europe. The breed was similar to those found on other isolated North Atlantic islands off the coast of Scotland. Today, the feral sheep are extinct and the island is only home to modern Faroese sheep. In autumn, the Faroese farmers sail to Litla Dimun to gather the sheep for slaughter and shearing. The sheep are driven into a pen on the northern side of the island, where the sheep’s feet are tied together. Then they are lowered in nets over the cliff’s edge into a boat that transports them to the mainland. This is done to keep the sheep safe indoors during the winter. Foula is part of the Shetland Islands and one of the most remote, permanently inhabited places in Europe. 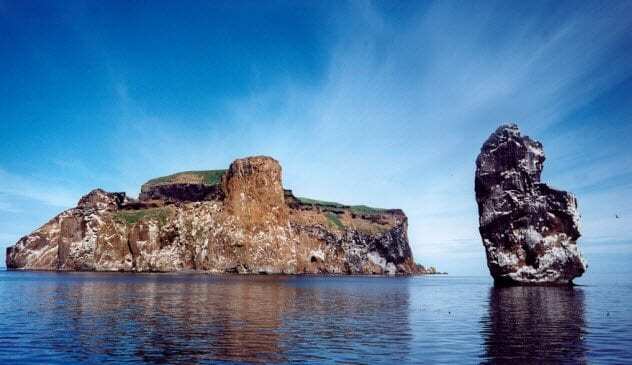 Despite being populated by only 38 people, Foula has a history stretching as far back as 3000 BC. A subcircular stone circle on the north side of the island has been investigated by archaeologists who confirmed it was constructed before 1000 BC. The stone circle is rather elliptical in shape. Its axis points toward the winter solstice, a possible indicator of having been used for religious purposes. Foula has retained an insular culture infused with Norse elements. In fact, the island’s name, like that of many other Scottish islands, comes from the Norsemen who conquered and settled it in the Viking Age. 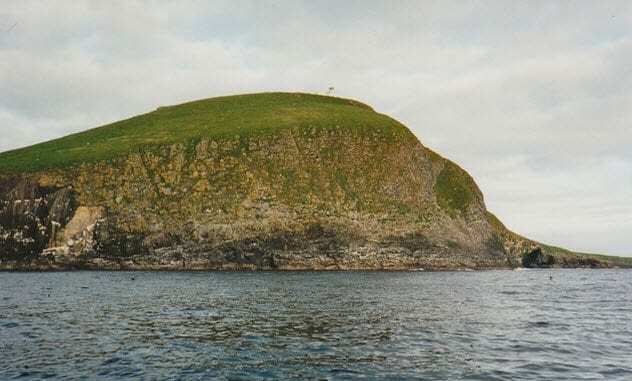 Foula was one of the last places where the now-extinct language of Norn was spoken in everyday usage. Norn, a language descended from Old Norse, was spoken throughout the Northern Isles until the end of the 18th century. It started to decline after the Northern Isles were granted to Scotland by the Norwegian Crown in the late 15th century. St. Kilda is a small archipelago located far west of the coast of Scotland. Hirta is the group’s largest and only inhabited island. The St. Kilda islands are perhaps the best known among the distant Scottish islands due to their remoteness, history, and stunning scenery. The islands make for an impressive sight, with sheer cliffs rising out of the sea hundreds of feet into the air. Hirta is inaccessible except for a few entry points, and even those are hard to reach in anything other than ideal weather conditions. The islands have been continuously inhabited for 2,000 years, and there is evidence of an even earlier Stone Age settlement. Icelandic records suggest that Norsemen conquered the island and assimilated to island culture in the Viking Age. This claim is supported by numerous Norse placenames on the islands. 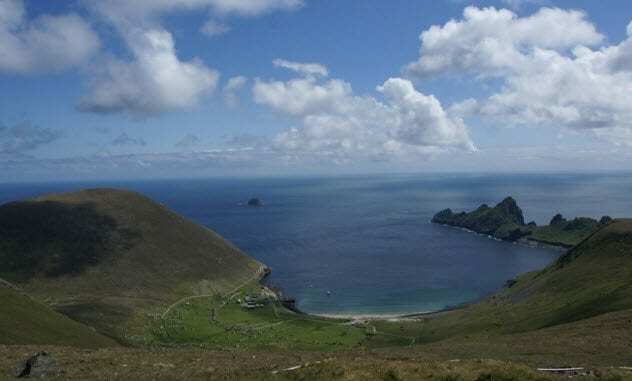 The dominant theme in St. Kildan history is the total isolation from which its inhabitants suffered. So isolated were the islands that the population retained a religion which was a blend of druidism and Christianity. Druidic altars were still present in the 18th century despite many attempts to convert the population to a purer form of Christianity. A true testament to the islanders’ lack of interest in the outside world came when the islands were visited by soldiers in search of Prince Charles Edward Stuart, a pretender to the throne. It was discovered that the islanders had never heard of him. Nor had they heard of their king, George II. Drangey is an island located in the middle of Skagafjorour, a large fjord in northern Iceland. The island is a remnant of a 700,000-year-old volcano that has eroded, leaving behind a natural island fortress protected on all sides by sheer cliffs. It is only accessible by one route. In the 11th century, an Icelandic folk hero, Grettir the Strong, escaped to Drangey with his brother and a slave and lived there for a few years. Grettir had been exiled from Iceland, the most severe form of punishment in Iceland in the Viking Age. As the story goes, the last fire was extinguished in Drangey and the men had no way of making fire. Since they had no boat on the island, Grettir swam across over 6 kilometers (4 mi) of open ocean to the mainland to fetch fire at Reykir. Grettir was eventually killed by his enemies as he lay dying from an infection. Drangey is home to millions of seabirds. They were hunted by as many as 200 farmers from nearby areas each summer, with 200,000 birds considered to be a good season’s catch. The birds were usually hunted using three rafts tied together with rope and covered with nooses made of horsehair. Although this method was once commonplace in Iceland, it is now considered inhumane as the rafts would occasionally drift off, leaving the birds caught in the nooses to die from starvation many days later. Surtsey is an island just off the south coast of Iceland. The most recent addition to the Vestmannaeyjar archipelago, Surtsey rose out of the sea on November 14, 1963, as a result of a volcanic eruption below sea level. The eruption continued for four years and produced the 2.6-square-kilometer (1 mi2) island. Erosion has since reduced the island to almost half of its original size. The island is of great interest to scientists from many disciplines, especially geologists and biologists, and access to the island is restricted to scientific personnel. Other such islands have briefly risen from the sea around Iceland. But these eroded away quickly because they were sandbanks composed of the rough volcanic gravel formed when melted lava meets cold seawater and explodes. 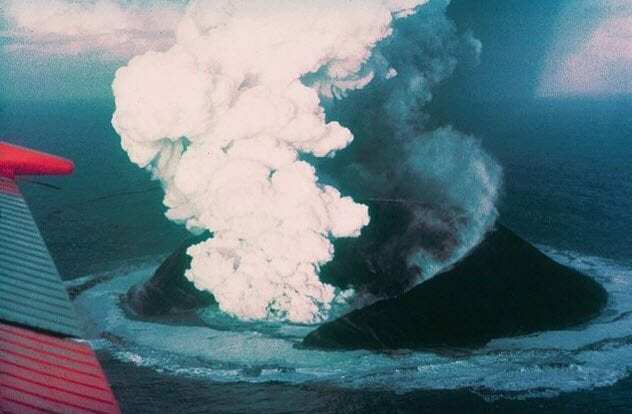 The volcanic eruption in Surtsey was special because it reached a critical point where seawater was no longer flowing into the volcanic vents, allowing the magma to flow freely. Plant life had already established itself on Surtsey before the eruption stopped. Now, the island is covered with moss. Birds soon colonized the island, and in 1998, the first bush started growing on Surtsey. In 1977, scientists were puzzled by a potato plant growing on Surtsey. But it was quickly discovered that it had been planted as a prank by teenagers who had come from a nearby island. Sometime later, a scientist relieved himself outside, leaving behind a piece of human excrement from which a tomato plant sprouted. The potatoes and tomatoes were discarded, and the responsible parties were reprimanded for introducing foreign species to the island. Svalbard, an archipelago far north of the Arctic Circle, is the northernmost permanent settlement on Earth. Svalbard is an unincorporated territory of Norway, although there is a Russian mining settlement on the largest island. Norway’s relationship with Svalbard is a bit complicated. It’s officially designated as a demilitarized zone, and its natural resources can be extracted by foreign governments that have signed the Svalbard Treaty. As of 2016, there were 45 parties to the treaty. 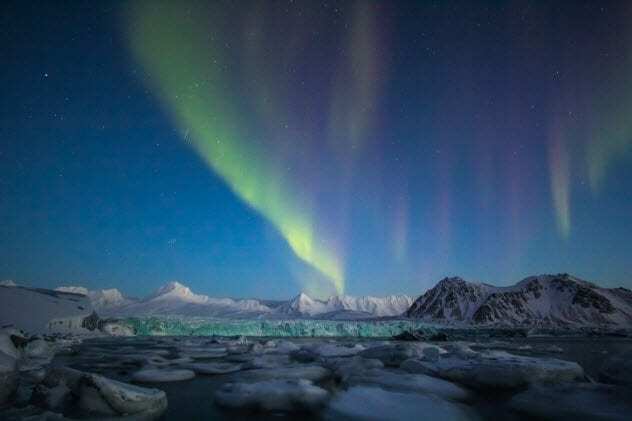 Glaciers cover 60 percent of the total area of Svalbard, and during the winter, it experiences a polar night. In Longyearbyen, the largest settlement, the polar night lasts from October 26 to February 15. With no road systems on the islands, only isolated stretches of road exist within towns or mining areas. The snowmobile is the main mode of transport, especially in winter. Travel outside the settlements can be perilous as Svalbard is home to a huge polar bear population. Anyone traveling outside the settlements is required to carry equipment to chase away a polar bear, and carrying a firearm is strongly recommended by the government. Svalbard may sound like a naturist’s and gun lover’s paradise. But sadly, it’s nearly impossible to move to Svalbard unless you already have a job there. Most houses on the islands are owned by companies and rented to employees. The Flannan Isles, mainly a group of seven small islands off the coast of Scotland, have a total area of only 145.5 acres. 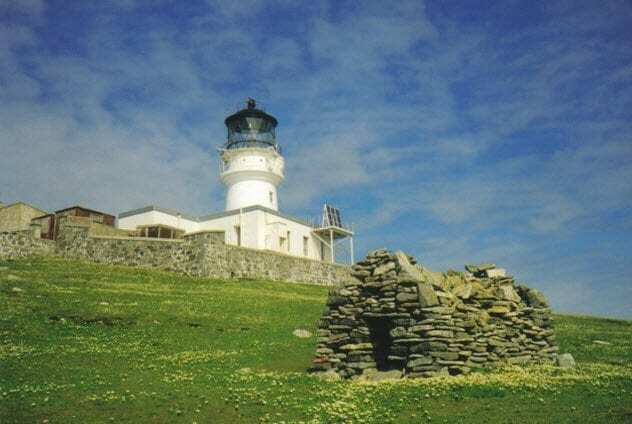 They have been uninhabited since the lighthouse on the largest island, Eilean Mor, was automated. The Flannan Isles are remote. Yet they are closer to the coast of the Outer Hebrides than Hirta, which remained continuously inhabited for thousands of years. 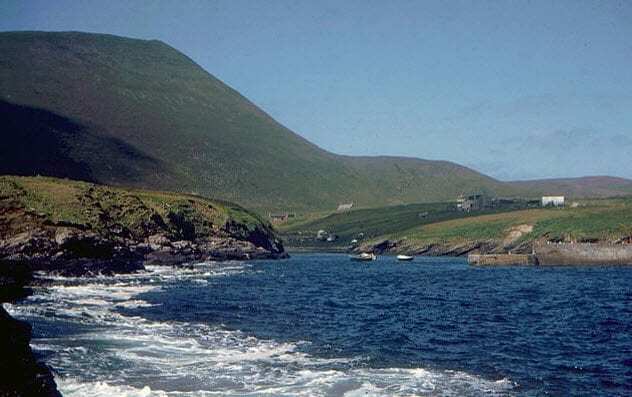 The small size and remoteness of the Flannan Isles is likely why they remained uninhabited for extended periods of time. However, the ruins of a chapel, several bothies (huts), and other evidence suggest that the islands were once home to a reclusive monastic community. In the late 19th century, a lighthouse was built on Eilean Mor. The islands became home to a famous mystery in 1900 when all three lighthouse keepers disappeared simultaneously without a trace. The men all disappeared on the day of a terrible storm which wrecked one of two landings on the island, causing severe damage to the equipment and infrastructure. In one location, turf had been ripped away on a 61-meter (200 ft) cliff, suggesting that huge waves had crashed on the island. The disappearance garnered a great deal of media attention and captured the imagination of the British public. Soon, many wild theories emerged. The circumstances appeared very strange, especially with everything neatly arranged inside the lighthouse except for an overturned chair at the kitchen table. The Northern Lighthouse Board rules dictated that the lighthouse never be left unattended, yet the men had all disappeared simultaneously. Another strange detail was a set of oilskins that had been left behind. This suggested that one of the lighthouse keepers had rushed outside in such a great hurry that he hadn’t bothered to put on proper equipment. This mystery has never been fully solved. Although plausible theories have been suggested, the disappearance continues to fascinate mystery lovers to this day. Rona, often called North Rona to distinguish it from another Scottish island of the same name, is an island far north of Scotland. It is so remote that it’s often omitted from maps of the UK. It has been inhabited and abandoned a few times over the last 1,500 years. But the lost population was very small, only around 30 people. Before the Viking Age, the island was probably inhabited by Christian hermits. Many of the Scottish islands were later conquered by Vikings and were subject to Norwegian rule for some centuries. Although a Norse presence on Rona has never been positively confirmed, the name “Rona” might be of Norse origin. In the eighth century, the island reportedly became home to Saint Ronan. He is said to have constructed the small Christian oratory that is still present on the island. This oratory may be the oldest Christian building still standing in Scotland. Visitors can crawl into the small, sunken structure made of earth and unmortared stone and see a rough stone cross still standing in the corner. Perhaps this gives some insight into the lives of the hermits who lived on Rona in voluntary isolation a millennium ago. Kirk is a traveler and outdoorsman fascinated with remote places and their history.